The United Church of Christ is the church the world needs today. The world needs a church that proclaims, “No matter who you are, wherever you are on life’s journey, you are welcome here.” The world needs a church bold enough to say, God is still speaking. We believe the UCC is such a church. In Christ we are invited to be transformed and to work with God to make a more peaceful, just, and loving world. Our Still-Speaking God invites us to be bold, to think creatively, and to be innovative in our ministries. multi-racial and multicultural, open and affirming, globally minded movement to transform ourselves and our world. In isolation, no single UCC congregation can be the church the world needs today. To be that world-changing church, congregations must join together to support and inspire each other. God calls us to the work of strengthening the interconnected threads. As the United Church of Christ, we know that it is together that we learn, grow, and love. 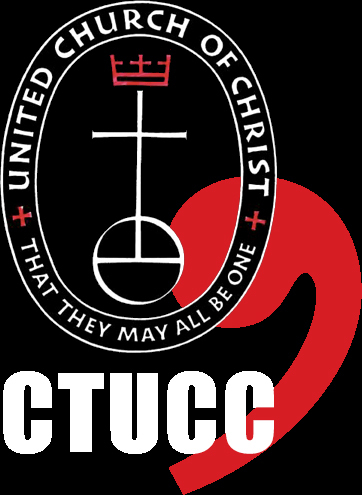 Relying on God and with a spirit of mutuality, the Connecticut Conference of the United Church of Christ strives to build faithful leaders and vital communities of churches in Connecticut, each and all proclaiming a radical welcome that embraces all of God’s children. Our mission is, quite simply, to strengthen churches by empowering faith leaders to have creative and effective ministries. We help local congregations realize their missional identity and become justice-seeking, peacemaking communities of compassion. The Conference’s central focus is on leadership development and congregational vitality, while the scope of our vision and impact is much wider. realize God’s unique plan for them in their unique setting. We help foster a wider community in which local churches share best practices, encourage experimentation,and offer innovative responses to the collective and individual challenges we face. Download the 6-page Weaving our fabric brochure for more.